When it comes to roof repair, the homeowners of Northern New Jersey trust Proven Contracting as their number one go-to roofing contractor. We have been in the roof repair and maintenance service for many years now. And we have witnessed and addressed various roofing issues, and have managed to expertly resolve them through our team of expert roofers and project managers. Whether you own a residential property or a commercial building, you can always count on Proven Contracting of New Jersey for help and solution. When it comes to keeping your property well-protected and aesthetically pleasing at all time, roof repair is of great importance. First of all, your roof plays a huge role in the appearance of your property. It cannot be denied that a poorly maintained roofing system can be a huge turn-off for visitors, and buyers if you are planning to sell your property. The value of your property will surely go down if your roof is riddled with roofing problems that affect its appearance and functionality. From a practical standpoint, a roof repair is critical because it keeps yourself, your family, and property protected from all kinds of harsh external elements. From snowfall, rainwater, the extreme heat of the sun, and other external elements, your roof serves as your first line of defense against the aforementioned elements. 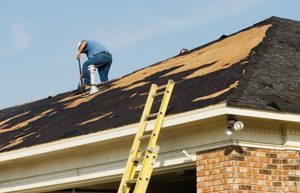 Hence, any damage or deterioration on your roofing system will drastically and significantly affect your standard of living and the safety of your person and property. Your Trusted Roof Leak Repair Expert of Northern New Jersey Area, Ready To Serve! If you desire the best roofing service in New Jersey, including but not limited to roof repair, roof installation, roof replacement, and even gutter, window & siding, skylight installation, repair, and replacement, you can definitely rely on Proven Contracting for the best home improvement services. For inquiries, you may contact us at 973-200-7278. We proudly cater the needs of all homeowners and business owners of Northern New Jersey, for easy access we offices centrally situated in Bridgewater, Long Valley, Randolph, and Livingston that you can visit.